Cast Iron Model 72 Simplex Basket Strainer - Threaded - 3/4"
Home>Commercial Filtration>Eaton Industrial Strainers>Model 72 Simplex Strainers>Model 72 Simplex Cast Iron Strainers > Cast Iron 72 Simplex Basket Strainer - FPT - 3/4"
Cast Iron 72 Simplex Basket Strainer - FPT - 3/4"
Simplex pipeline strainers remove damage causing particulate matter from the process media, protecting system components such as flow meters, pumps, and spray nozzles. The particulate matter is captured in the strainer basket. The line is then temporarily shut down and the basket removed for cleaning or replacement. Eatons Model 72 has been the industry standard simplex basket strainer for over 70 years. A few of the reasons for its popularity are, first, the unusually large basket capacity. Second, the free straining area is a least 6 times the cross-sectional pipe area. Third, no tools are needed to open the cover. Fourth, the quick opening, swinging yoke can be disassembled and the basket removed in seconds. Wall thicknesses are exceptionally heavy. The basket seats are precision machined to give a tight seal. 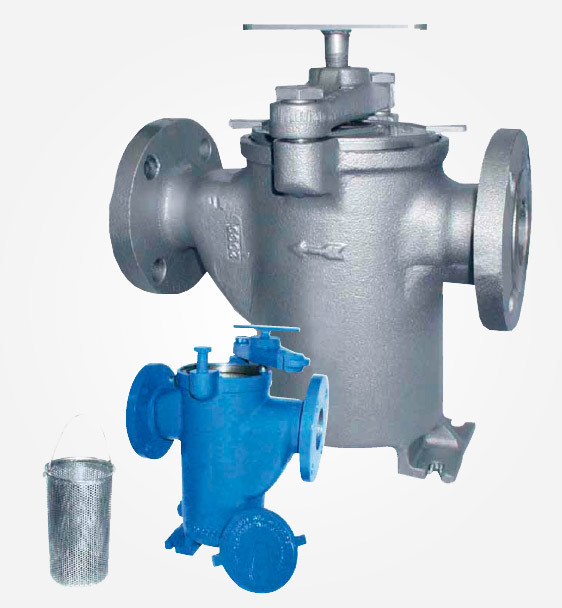 And every strainer is hydrostatically tested at 150% of its maximum rated pressure. The Eaton Model 72 is a high quality, heavy duty unit that will stand up to the most demanding of applications. There is no better simplex basket strainer made.